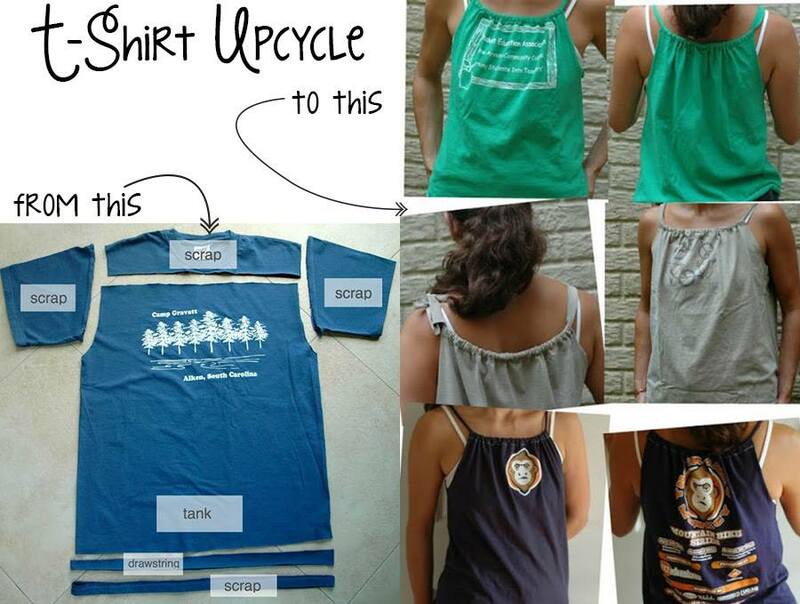 Everyone loves a great t-shirt upcycle! 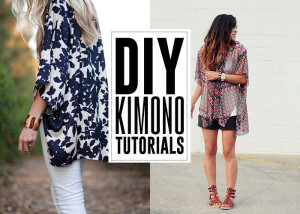 Find a big shirt in the thrift store or on clearance and the possibilities are endless! It’s fun to take something old and make it new. 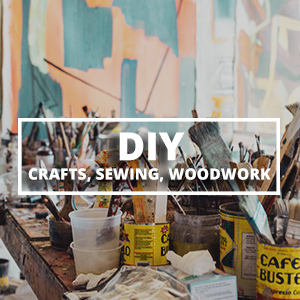 Some of these tutorials are no-sew and some require a little sewing. All are pretty easy! 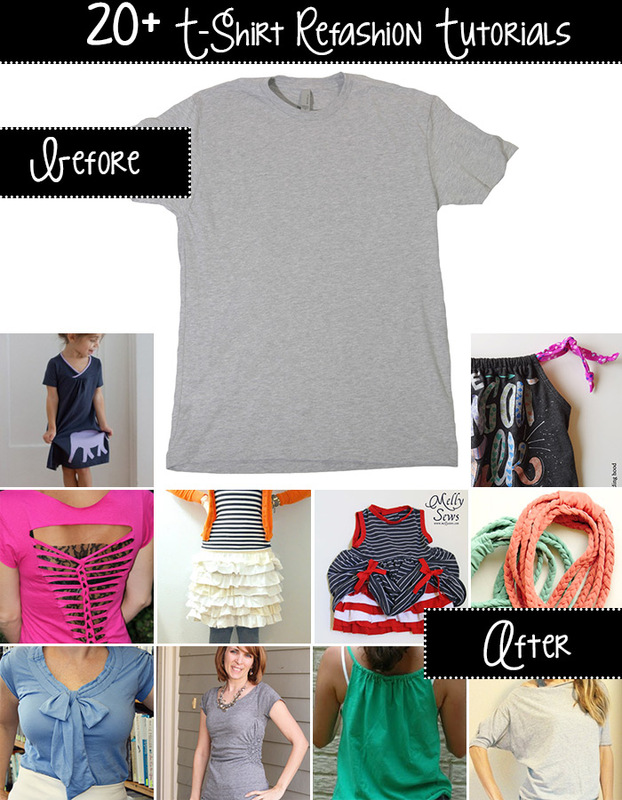 Below are over 20 of my favorite t-shirt refashion tutorials. 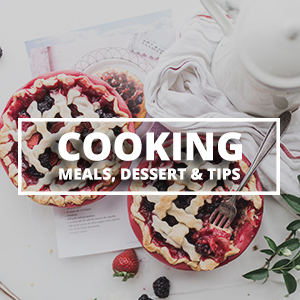 Click the link below each photo to go to the original tutorial. 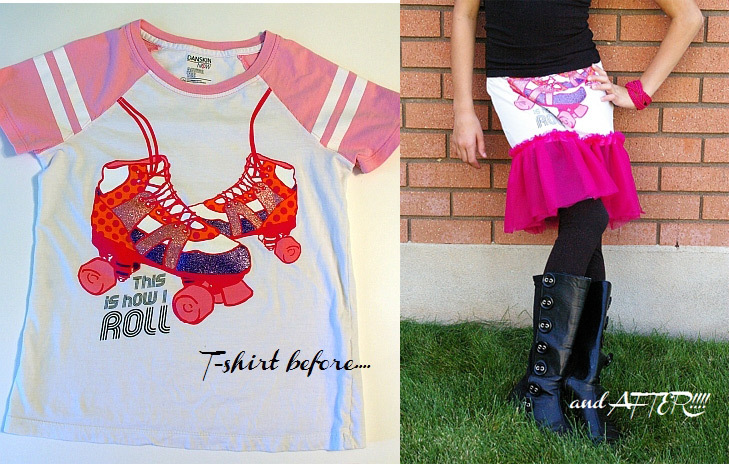 3 t-shirt refashions for summer or the beach! These video tutorials are really easy. T-shirt to halter video tutorial by Sew In Love. 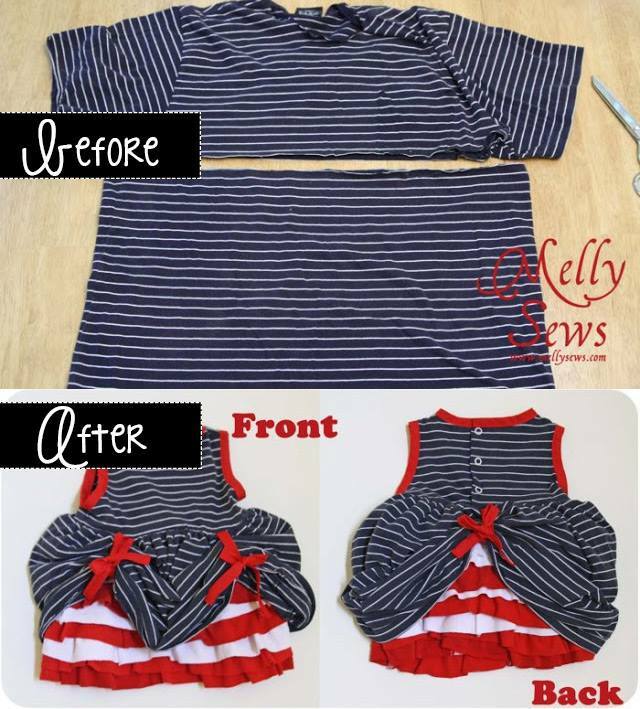 Large t-shirt to adorable baby Betsy Ross dress tutorial by Melly Sews. 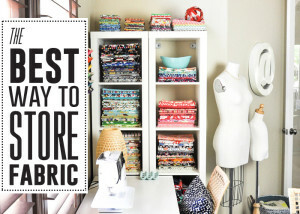 Cute shirt to skirt upcycle tutorial by Brassy Apple. 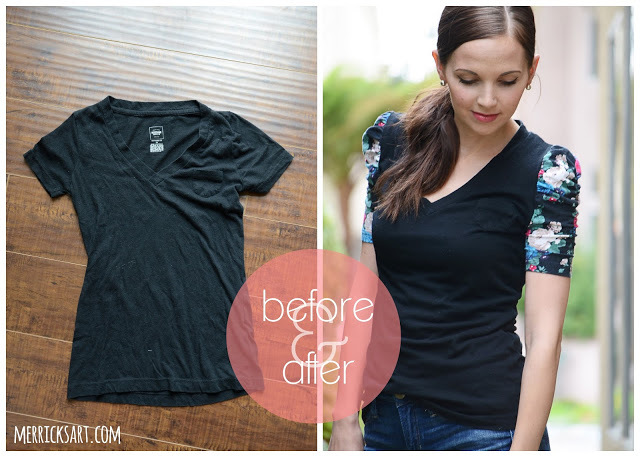 Contrasting sleeve t-shirt refashion tutorial by Merrick’s Art. 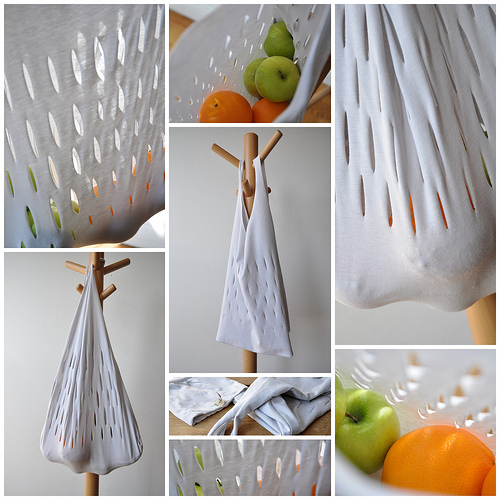 Upcycle a t-shirt into a produce bag with this tutorial from Between the Lines. 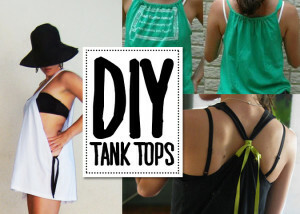 T-shirt to easy tank top tutorial by Crafterhours. 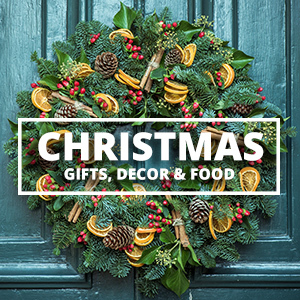 Click the arrow to see more great projects! 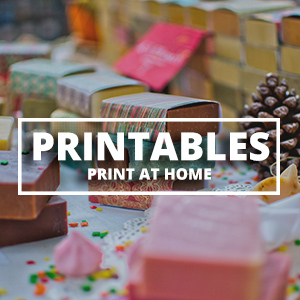 Please someone… desperation in my typing.. lol.. please tell me or show me where the PINTEREST BUTTON LINK is for this!!! I NEED IT!! THANK~YOU!!! Do you have any idea of how to use old uniform tops ? I have dozens of them that are in excellent condition. I retired from nursing several years ago and I would like to be able to use them in a creative way. 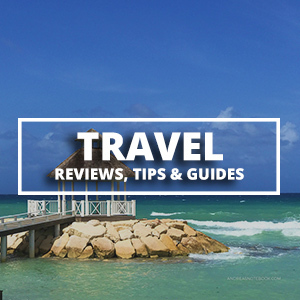 I would appreciate any ideas you could share with me. Turn them into pillow case covers. Turn them inside out. Sew arm holes shut from shoulder to underarm. Cut off selves. Take one sleve and cut it open. Place it over neck hole and stitch around. Turn to right side and put in bed pillow. This can be used on your bed, as a dog or cat pillow or on the floor for you or the kids. This saves on ware on regular bed pillow cases. You can also use a t shirt or old sweater. I like your ideals, will try them . Thanks! Can’t wait to explore! Great ideas! Love the striped baby dress, it’s gorgeous. 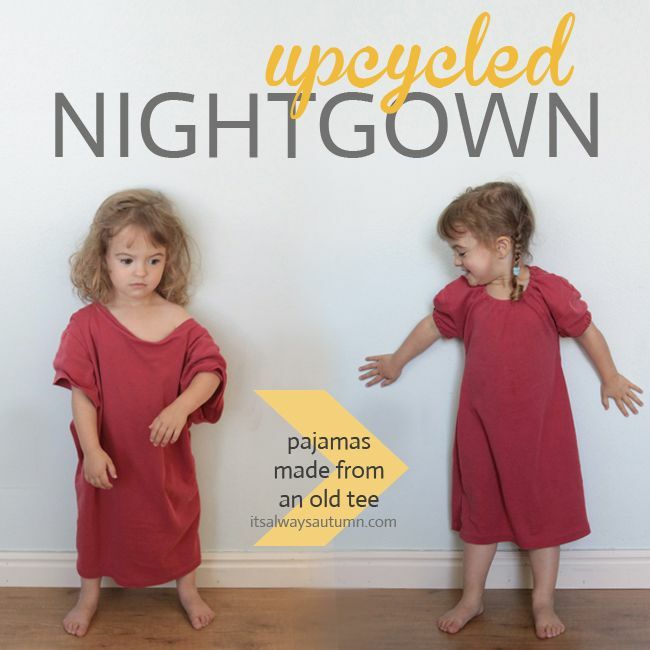 My newest recycling project is to make such dress for my little girl. Thank you for the inspiration!